For other people named Rob Ryan, see Robert Ryan (disambiguation). When his parents, Doris and Buddy Ryan, divorced in 1966, Rob and his fraternal twin, Rex, moved with Doris to Toronto. In 1974, they moved back to the United States to live with their father. He attended Stevenson High School in Lincolnshire, Illinois. Rob played defensive end opposite his brother Rex at Southwestern Oklahoma State University. Ryan was a graduate assistant at Western Kentucky in 1987. Then in 1988, he was an assistant coach at Ohio State. He then spent five seasons at Tennessee State, where he coached running backs (1989–91), wide receivers (1992) and the defensive line (1993). Ryan first entered the NFL coaching ranks in 1994 as defensive backs coach on his father's staff for the Arizona Cardinals. He also coached Cardinals cornerbacks and safeties in 1995. With Ryan as his position coach, cornerback Aeneas Williams earned two trips to the Pro Bowl in 1994 and 1995. In 1995, the Cardinals led the NFL with 32 interceptions and 42 total takeaways. The 1994 Cardinals ranked second in the NFL total defense, second in run defense and third in pass defense. After being fired by the Arizona Cardinals, Ryan served as defensive coordinator at Hutchinson Community College in 1996. Ryan's defense led the nation in total defense (228 yards-per-game) and in sacks (56). They also set a national record by forcing 49 turnovers. In 1997, Ryan became the defensive coordinator at Oklahoma State. While at Oklahoma State, the Cowboys defense continually ranked among the best in the nation, also he was named Coordinator of the Year by The Sporting News in 1997. In 1999, they were ranked 10th in the nation in total defense. In 1998, they were second in the nation with 41 sacks. In his first season at Oklahoma State, the Cowboys defense finished among the nation top-20 in turnover margin, rushing defense, scoring defense, and total defense, allowing just 302.7 yards-per-game. It was an over 100-yard improvement per game from the year before and helped the Cowboys produce an 8–4 mark and capping the 1997 season with a berth in the Alamo Bowl. Prior to the 2000 season, new Patriots coach Bill Belichick hired Ryan to serve as the linebackers coach for the New England Patriots, where he spent the next four seasons. In 2003, the Patriots ranked first in the NFL in points allowed with 238, while ranking seventh overall in the NFL in total defense. Ryan's unit also contributed to one of the best scoring defenses in franchise history in 2001, as the Patriots allowed just 17 points-per-game and produced Pro Bowlers Willie McGinest and Tedy Bruschi. During his tenure the Patriots won Super Bowl XXXVI over the St. Louis Rams and Super Bowl XXXVIII over the Carolina Panthers. Ryan was hired as the defensive coordinator for the Oakland Raiders prior to the 2004 season. In his first season, the Raiders defense ranked 31st in the league, averaging 27.6 points allowed per game. The defense improved in his second season, averaging 23.9 points a game, and moving to 25th in the league. In 2006, the Raiders ranked third in yards-per-game but 18th in points-per-game. In 2007, the Raiders defense ranked 22nd in yards- and 26th in points-per game. In 2008, Ryan's defense ranked 24th with 388 points allowed. Eric Mangini named Ryan as defensive coordinator of the Cleveland Browns on January 14, 2009. In his first season in Cleveland, Ryan's defense ranked 21st in the league, with 375 points against, as teams averaged 23.4 points per game against them. In 2010, the Browns were 13th in the league with 332 points allowed. Ryan was officially named the Dallas Cowboys defensive coordinator on January 19, 2011. In his first season, the Cowboys were ranked 14th in yards-per-game and 16th in points-per-game. In 2012 Dallas was ranked 19th in yards-per-game and 24th in points-per-game while only ranking 16th in sacks. On January 8, 2013, the Cowboys ended Ryan's employment with the franchise. In January 2013, Ryan agreed to become the defensive coordinator for the St. Louis Rams, but resigned less than five days later. In February 2013, Ryan was hired as the New Orleans Saints defensive coordinator, implementing a 3–4 defense to the team and scrapping their previous 4–3 defense. Ryan's defense finished well statistically in 2013, including fourth in fewest points-per-game and second for fewest passing yards allowed. The following year, 2014, New Orleans was near the bottom of the league in most defensive categories. On November 16, 2015, the day after a 47–14 loss to the Washington Redskins, and with the New Orleans defense ranked last in the NFL, Ryan was fired. New Orleans defensive assistant coach Dennis Allen was appointed Defensive Coordinator following Ryan's dismissal. On January 10, 2016, the Bills announced that Ryan would be joining his brother's staff with the Buffalo Bills as assistant head coach. Under Ryan, the Bills started out 0-2, then won four straight games, including a 16-0 shutout of the New England Patriots, the first time that the Bills shutout the Patriots at Gillette Stadium. The Bills entered the bye week at 4-5, then beat the Bengals and Jaguars to climb to 6-5 through week 12. They ranked 12th in the league as of week 13. 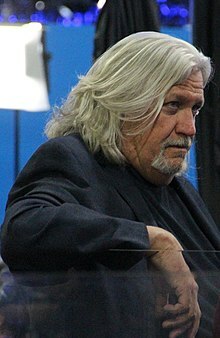 On December 27, 2016, the Bills announced they had fired Rob Ryan along with his brother Rex. 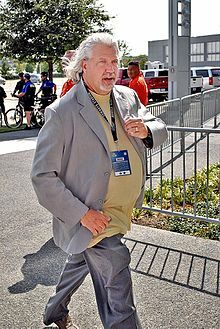 On January 30, 2019 the Washington Redskins hired Rob Ryan as their inside linebackers coach. In September 2017, Ryan was hired by Fox Sports to host a radio show with Mark Willard. In 2018, Ryan became a weekly analyst of Sky Sports' NFL coverage in the UK and Ireland. Ryan is married to Kristen Ryan and the couple have three children. In 2012, following in the footsteps of his brother, Ryan had lap band surgery in an attempt to lose weight. The procedure failed, however, with the band nearly causing his stomach to shut down. ^ "Riley-Ryan". Bowling Green (KY) Daily News. July 2, 1989. pp. 7B. Retrieved October 12, 2014. ^ a b c d e Jenkins, Lee (September 19, 2011). "Oh, Brother, What A Start: They're big, they're brash, and they live for the game. The Ryan twins—Rex of the Jets and Rob of the Cowboys—set the tone for the NFL season with a wild opening-week showdown". Sports Illustrated. Retrieved November 29, 2011. Rex was born five minutes ahead of Rob .... The Ryans are fraternal twins, but everyone figured they were identical. ^ a b Merrill, Elizabeth (January 21, 2009). "Rex Ryan's swagger leads Jets". ESPN.com. Retrieved January 21, 2009. ^ "Meet the college football coach who's taking the marijuana business by storm". Fox Sports. April 20, 2016. Retrieved December 27, 2016. ^ "Rob Ryan Record, Statistics, and Category Ranks". Pro-Football-Reference.com. January 1, 1970. Retrieved December 27, 2016. ^ "2004 Oakland Raiders Statistics & Players". Pro-Football-Reference.com. January 1, 1970. Retrieved December 27, 2016. ^ "2005 Oakland Raiders Statistics & Players". Pro-Football-Reference.com. January 1, 1970. Retrieved December 27, 2016. ^ "2006 Oakland Raiders Statistics & Players". Pro-Football-Reference.com. January 1, 1970. Retrieved December 27, 2016. ^ "Rob Ryan is a poor coach and you don't want him". Bleeding Green Nation. January 9, 2013. Retrieved December 27, 2016. ^ "2008 Oakland Raiders Statistics & Players". Pro-Football-Reference.com. January 1, 1970. Retrieved December 27, 2016. ^ "2010 Cleveland Browns Statistics & Players". Pro-Football-Reference.com. January 1, 1970. Retrieved December 27, 2016. ^ Hanzus, Dan (January 8, 2013). "Rob Ryan, Dallas Cowboys parting ways". National Football League. Retrieved January 8, 2013. ^ "Rob Ryan won't be Rams defensive coordinator | ProFootballTalk". Profootballtalk.nbcsports.com. January 29, 2013. Retrieved December 27, 2016. ^ "New Orleans Saints hire Rob Ryan as their new defensive coordinator". Times-Picayune. February 9, 2013. ^ "Rob Ryan to coach New Orleans Saints defense". NFL.com. February 9, 2013. Retrieved December 27, 2016. ^ "NFL Stats: by Team Category". Nfl.com. July 21, 2015. Retrieved December 27, 2016. ^ "New Orleans Saints fire Rob Ryan as defensive coordinator". Espn.go.com. November 17, 2015. Retrieved December 27, 2016. ^ Frank Schwab (January 11, 2016). "Ryan brothers unite! Rex hires brother Rob to join him in Buffalo". Sports.yahoo.com. Retrieved December 27, 2016. ^ "NFL Football - Defensive Rankings & Statistics - December, 2016". Odds Shark. Retrieved December 27, 2016. ^ Choppy, R.J. (September 18, 2012). "Kristen Ryan Gifts New School With Bags Of Rob's Favorite Goodies". CBSLocal.com. Retrieved November 28, 2016. ^ Hubbuch, Bart (May 27, 2016). "Rob Ryan's lap band almost killed him | New York Post". Nypost.com. Retrieved December 27, 2016. Wikimedia Commons has media related to Rob Ryan. This page was last edited on 8 April 2019, at 19:56 (UTC).